After a hard fought and well played game, Newport Harbor Varsity Field Hockey lost 0-1 to Harvard Westlake in the Tournament of Champions Semi-Final game. The Sailors will compete against Bonita HS for third place at 4:30 p.m. on Saturday, November 3 at Edison High School. Come support the team! Go Newport! Congratulations to Newport Harbor Varsity Field Hockey for their 2-1 win over Glendora High School on Tuesday. Goals were scored by Chloe Bagiu and Lindsey Blanchfield with an assist by Grace O’Neill. The Sailors advance to the semi-finals with a game on Thursday, November 1 at 5:00 p.m. at Harvard Westlake High School. Come show your support and cheer the girls on! JV and Frosh/Soph players are welcome to come on the bus to and from the game. Bus departs from NHHS at 1:45 p.m. Let a coach know if you would like to ride the bus by noon on Thursday. – Below is the best laid out plans for the schedules this week. The times and dates are subject to change depending on the Varsity playoff game results, please check the website for updated information. 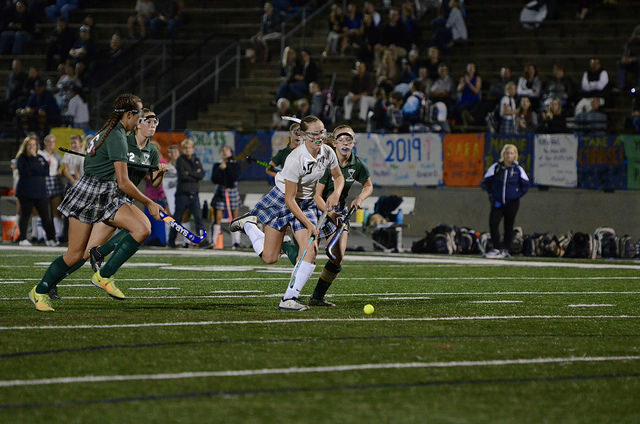 – The end of the season Newport Harbor Field Hockey Banquet is Tuesday, November 13. Please be sure to RSVP on the Evite so that we can get an accurate number for food and set up. If you do not receive the Evite, please contact newportharborfieldhockey@gmail.com. Monday – Practice at 1:45 – 4:00 p.m. at Davidson Field. Team Dinner hosted by the Roudebush family. Tuesday – Round 1 of Tournament of Champions at 6:00 p.m. at Newport Harbor. Be at the field at 4:45 p.m. to set up the field and warm up. Wednesday – Practice at 1:45 – 4:00 p.m. at Davidson Field. Thursday – Team Lunch TBA. Possibility of TOC Semi-Final Game. Friday – Possibility of practice at 1:45 – 4:00 p.m. at Davidson Field and Team Dinner hosted by the Chong Family. Saturday – Possibility of TOC Consolation Game (2:00 p.m.) or Championship Game (4:00 p.m.) at Edison High School. Tuesday – Cheer on Varsity at the TOC playoff game at 6:00 p.m. at Davidson Field. *If you ordered merchandise, pick it up at 5:30 p.m.
Wednesday – No practice, but please keep 1:45 – 4:00 open. Thursday – Support Newport! Watch Varsity’s Possible TOC Semi-Final Playoff Game: TBA. Check the Website! Saturday – Support Newport! Watch Varsity’s Possible TOC Game at Edison, time TBA. Check the Website! The home crowd grew restless as the Newport Harbor High field hockey team went into halftime locked in a scoreless tie with Edison on Tuesday night. It was not the effort of the Sailors that they took issue with, but rather a call that had just been made. 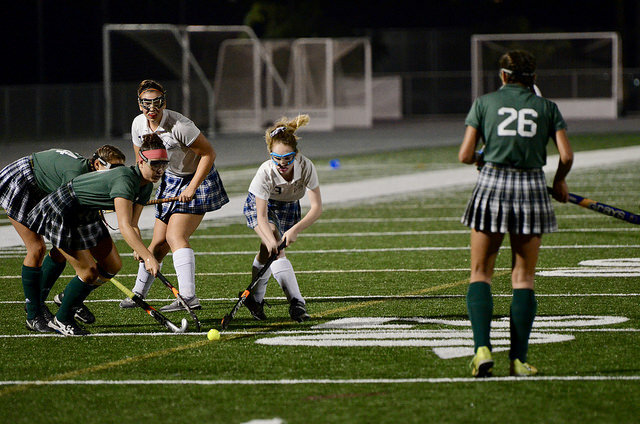 Goals can be hard to come by in field hockey, and Newport Harbor had just had one taken away. Grace O’Neill appeared to have opened the scoring on the Sailors’ senior night, but the officials ruled that the ball did not clear the semicircle before O’Neill unleashed a slap shot on a short corner. The Sailors went back to work in the second half, and in no time, the Sailors got the go-ahead goal. Chanse Hill and O’Neill scored goals, and Newport Harbor came away with a 2-0 victory over the visiting Chargers in a Sunset League South game. Newport Harbor finally broke through in the 33rd minute. Natalie Williams won a one-on-one battle as the Chargers tried to head up field. The ball rolled ahead to Hill, who evaded Edison goalie Mary Smith and swept a shot into the net on her backhand. The Sailors dominated possession and the scoring chances, earning 11 short corners while conceding just one. After having a goal taken off the scoreboard at the halftime buzzer, O’Neill got some good karma when she converted her final opportunity with eight seconds remaining. She received the pass from Sara Robinson, the Sailors’ injector, and her hard shot rolled in. More importantly, Newport Harbor won, moving its record to 19-4-1 overall and 10-1 in the league. The Sailors came into the night tied with Huntington Beach for first in the league with two games to go, and they are seeking their first league title since 2010. Smith made 10 saves to keep the Chargers (8-3 in league) in the game. Arleigh Ramsey and Madeline Solorzano also collapsed well on defense to help Smith defend a myriad of short-corner opportunities for the Sailors. “I just felt like we were getting a little too panicky and frenzied with their attack if the calls didn’t go our way,” Chargers coach Rebecca Antongiorgi said. – This is the last week of scheduled games and practices for the Frosh/Soph & JV teams. There will still be some sort of a schedule on the Stix Weekly for the next two weeks for both teams since they will still be enrolled in field hockey. They will be expected to attend any varsity home playoff games; they have the option to attend any away varsity playoff games; they will also have a banquet video shoot day and a uniform turn in day. Attendance will be taken and noted. – All players will need to let their coach know where they will be transferring to next for their PE credit (lacrosse, soccer, basketball, pre-track, pre-softball, yoga, etc.) by Friday, October 26. We will have post-season field hockey for 10th – 12th graders, but we are still working on field space. More info to come. – Make sure to collect all of your photos and get them to your team photo collector or team mom for the Memory Book and Banquet Team Videos by Friday, October 26. The more photos we have, the better the book and videos!! The deadline for sending the memory books to print is Monday, October 29, so we need to have time to make the books. – Senior Parents! Senior Day is on Tuesday, please report to Davidson field at 6:05 the presentation will begin at 6:15 p.m.
– Save the Date for the Banquet! Tuesday, November 13. Monday – Practice at 1:45 – 4:00 p.m. at Davidson Field. Team Dinner hosted by the Lucore and O’Neill families. Tuesday – Senior Home Game vs. Edison at 6:30 p.m. at Davidson Field. Be at the field at 5:00 p.m. ready to cheer on JV and warm up. Wednesday – Away Game at Fountain Valley at 3:15 p.m. Bus departs at 1:45 p.m.
Friday – Practice at 1:45 – 4:00 p.m. at Davidson Field. Monday – Practice at 1:45 – 4:00 p.m. at Davidson Field. Team Dinner hosted by the Gaddis Family. Tuesday – Home Game vs. Edison at 5:15 p.m. at Davidson Field. Be at the field at 4:00 p.m. ready to cheer on FS and warm up. You will also be expected to stay after the game for the Senior Game Presentation at the beginning of the Varsity Game. Wednesday – Away Game at Fountain Valley at 4:30 p.m. Bus departs at 1:45 p.m.
Monday – Practice at 1:45 – 3:45 p.m. at Davidson Field. Team Dinner hosted by the Matsunami and Ward families. Tuesday – Home Game vs. Edison at 4:00 p.m. at Davidson Field. Be at the field at 3:00 p.m. ready to set up the field and warm up. You are also invited to participate in the tunnel for the Senior Game Presentation at 6:15 p.m.
Wednesday – Practice at 1:45 – 3:45 p.m. at Davidson Field. Thursday – Away game at Edison High School at 4:30 p.m Bus departs at 3:00 p.m.
– Save the Date! The end of the year Banquet will be on the evening of Tuesday, November 13. Please let you team parent know if you can volunteer to help with this fun evening. More info to come. Monday – Practice at 1:45 – 4:00 p.m. at Davidson Field and Team Dinner hosted by an Alum Family – the O’Connors! Tuesday – Home game at 6:30 p.m. vs. Marina. Be at the field at 5:15 p.m. ready to cheer on JV and warm up. Thursday – Away Game at 3:15 p.m. at Huntington Beach High School. Bus departs at 1:45 p.m.
Monday – Practice at 1:45 – 4:00 p.m. at Davidson Field and Team Dinner hosted by the Bixby family. Tuesday – Home game at 5:00 p.m. vs. Marina. Be at the field at 4:00 p.m. ready to set up the field and warm up. Thursday – Away Game at 4:45 p.m. at Huntington Beach High School. Bus departs at 1:45 p.m.
Saturday – Helix Highlander Cup at Helix High School, 7323 University Ave, La Mesa, CA 91942. Bus departs from NHHS at 5:15 a.m. Game times are 8:00, 11:00, Skills Challenge at 12:00, 1:00, and 3:00. Possible game at 4:15, 4:45, or 5:25 p.m.
Monday – Practice at 1:45 – 3:30 p.m. at Davidson Field and Team Dinner hosted by the Ganzon and Crafton families. Tuesday – Practice at 1:45 – 3:30 p.m. at Davidson Field. Wednesday – Team Event. More info coming. Thursday – Practice at 1:45 – 3:30 p.m. at Davidson Field. Friday – Practice at 1:45 – 3:30 p.m. at Davidson Field. – Click here for the Newport Harbor Field Hockey Merchandise Order Form! The window of time is very short so that we can get everything ordered as soon as possible. The deadline to order merchandise is this Thursday, October 11 at 8:00 p.m.
– Our ‘Play for the Cure’ games are on Tuesday! Be sure to check emails from the team parents for information and make sure to wear pink! – Parents and players! Another reminder to make sure to be taking pictures at all field hockey events and submitting them to your team photo collectors for the team videos and memory book. Monday – Home game at 3:15 p.m. vs. Great Oak. Be at the field at 2:00 p.m. ready to set up the field and warm up. Tuesday – Play for the Cure Home game at 6:30 p.m. vs. Fountain Valley. Be at the field at 5:15 p.m. ready to cheer on JV and warm up. Thursday – Away Game at 3:30 p.m. at Westminster High School. Bus departs at 1:45 p.m.
Monday – Home game at 4:30 p.m. vs. Great Oak. Be at the field at 3:15 p.m. ready cheer on Varsity and warm up. Tuesday – Play for the Cure Home game at 5:15 p.m. vs. Fountain Valley. Be at the field at 4:00 p.m. ready to cheer on F/S and warm up. Thursday – Away Game at 5:00 p.m. at Westminster High School. Bus departs at 1:45 p.m.
Monday – Away Game at 4:30 p.m. at Bonita High School. Bus departs at 2:15 p.m.
Wednesday – Practice at 1:45 – 3:00 p.m. at Davidson Field. Thursday – Practice at 1:45 – 3:00 p.m. Meet at Davidson Field.